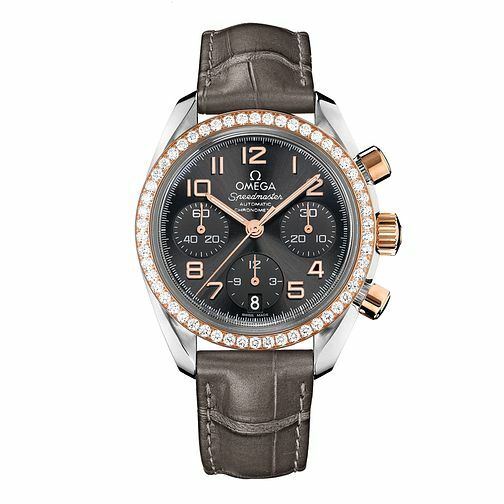 Omega Speedmaster ladies' stylish black strap chronograph watch, beautifully crafted with stone set detail. A classic design with a contemporary edge makes it the perfect gift for any chic woman. Powered by automatic chronograph movement.